For every cardio lover, weight lifter and protein shaker, this gym junkie pencil set is perfect. 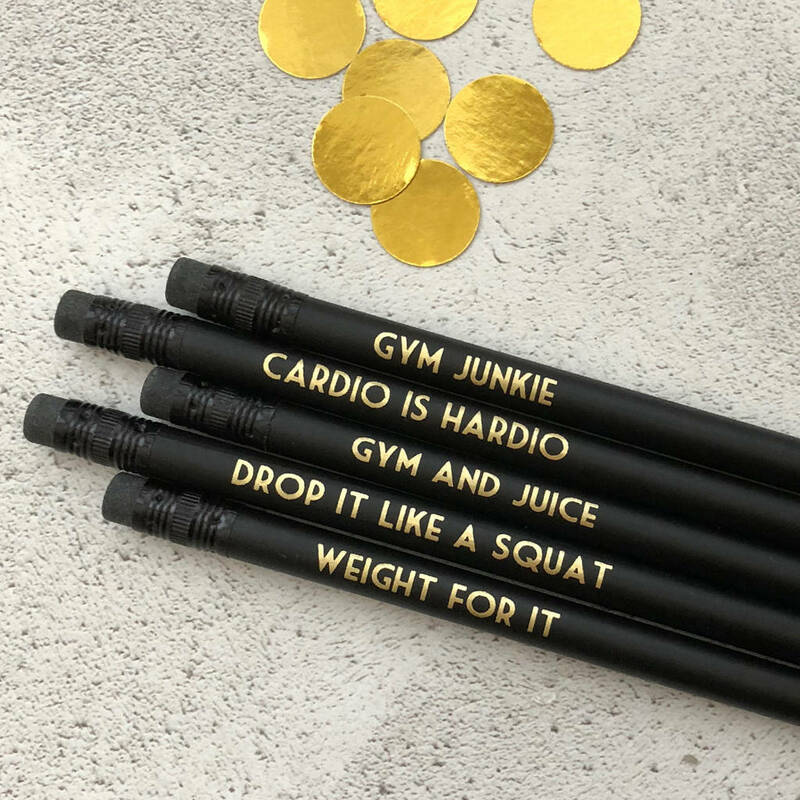 These matt black pencils are hand-foiled in our Surrey office, each with a different gym pun (our favourite kind!). The five pencils in this set are: Gym Junkie, Cardio is Hardio, Gym and juice. Drop it like a squat, Weight for it. As a set, they make a lovely little gift for the cardio addict in your life whether as a stocking filler, a secret Santa gift or a birthday present. 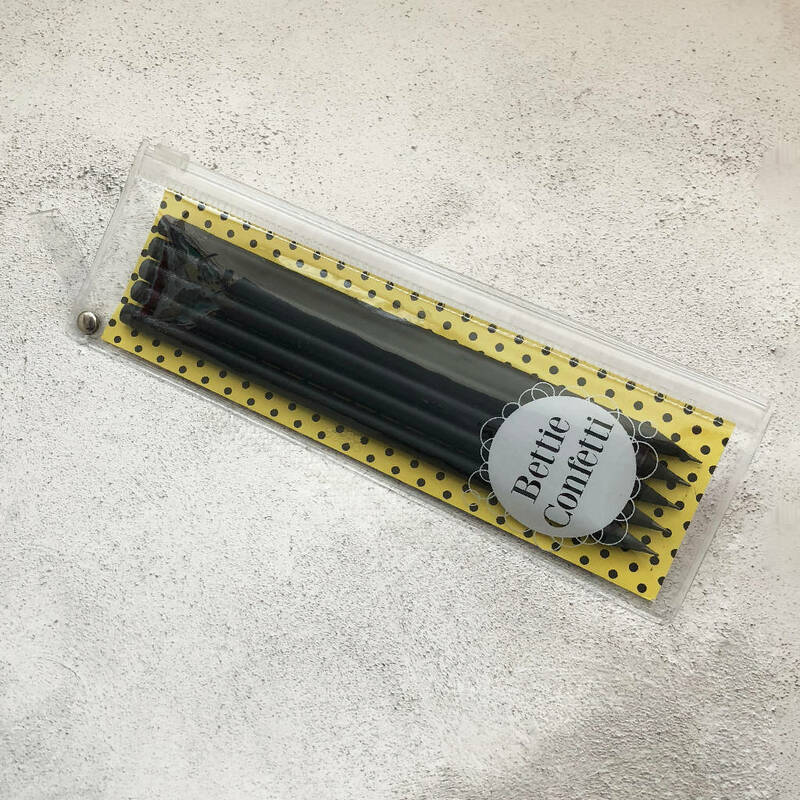 We love the chic metallic gold on black design for these pencils, which include a black eraser at the end. HB #2 round pencils made from wood. Lovingly hand-foiled in the UK.